You can offer your property with us for sale, we work together with various reliable brokers (new and resale) on the Costa Blanca and Costa del Sol, which regularly exhibit at fairs in the Netherlands, England and Russia. 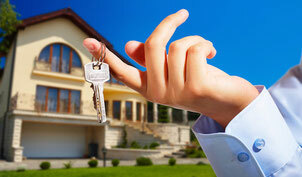 Even if you sell your own home, we can arrange the complete handling for you at a realistic fee. If you are looking for a new home we can assist you with advice and deeds. As an independent advisor we can offer you all the Producs of the cooperating brokers. Once found the suitable property? Then you don't have to look for professional guidance.